Let's a go! You won't even have to jump and hit these boxes to get what's inside. They're easy to apply and add some flair to any piece of clothing. Will you get one of the 12 patches pictured or hunt the 3 mystery patches? Ages 14 and up. 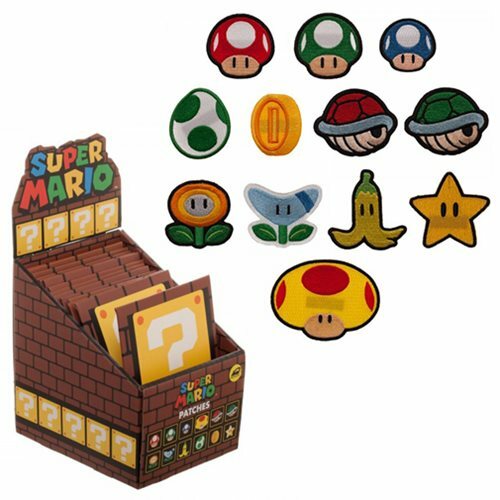 The Super Mario Bros Iron-on Patch Random 3-Pack includes 3x randomly selected, individually packaged patches.